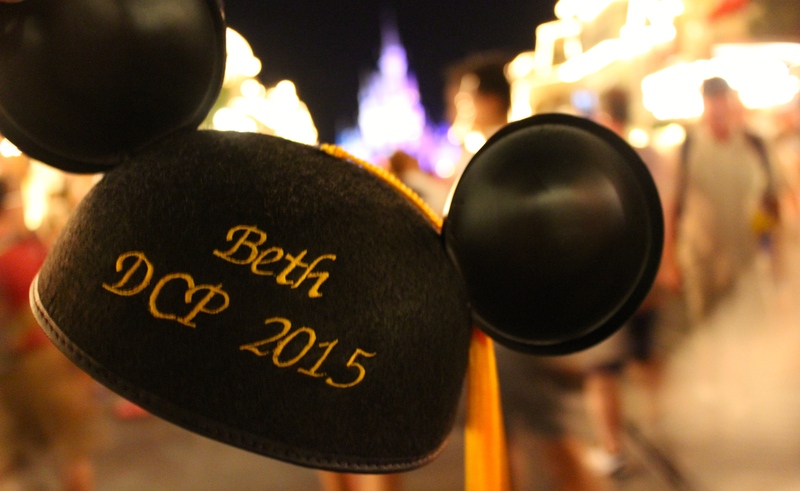 For those who may not know, during Summer 2015 I spent 9 weeks working in Walt Disney World, FL. I was lucky enough to work in a Merchandise role in the Magic Kingdom. I lived, worked and played in Orlando before being able to travel America, you can read about that here. I would recommend this experience to anyone, you get to be pushed outside your comfort zone while being in the safest and happiest place on earth. Meeting and making friends from all around the world – I have made friends for life on my program, from your roommates to the people you work with, you can get to know so many different people. During my fourteen hour shifts, it was my friends who made them fun – not to mention there was always a Steak n Shake or IHOP to look forward to when it ended. My favourite thing was to spend my days off with the people I work with, in the place I worked, how many people can say that? Then my roommates, every day now we talk about the next time we can all see each other. 4/5 of us ended up in NYC before flying home from the program (literally 20 days after we left) and we reunited like it had been forever and one of the best nights of my trip. I would come home from work to these girls and honestly just want to sleep, but before I knew it we would always end up on our funky patterned sofa talking until God knows what. Working for an amazing Company – Disney is such a hugely influential company and you would be working for them. As part of a Fortune 500 company in a paid internship, which is quite rare especially with a prestigious company. Every job interview I have done since I’ve been back has largely focused on what it was like to work there. The Disney Company has so much respect, it’s sure to impress. You can get into the Parks for free! – Definitely my favourite perk! When those blue cards of joy come in the post, simply named ‘Main Entrance Pass’, your program really begins. Get ready to spend most days in the Disney Parks experiencing more things that you can imagine and learning the spiels and the songs to most of the Disney Shows. You also get discount on some food, drink, merchandise and experiences. Not to mention discount in other parks like Universal Studios, thanks to your temporary residence. All you have to do is get a letter from housing as proof and tada Florida Residency Passes make things a whole lot cheaper. I bought a Universal Studios Annual Pass which cost less than going to the Parks three times in the year. How good! This also got you discount on food, drink and merchandise. You get to learn new skills – After working in retail for three years, I thought merchandise would be fairly easy. Which don’t get me wrong it was and it was so enjoyable, but there are so many new things to learn that you just can’t get in your part time job. Not only did I have to face the challenge of American Currency but the various other cash forms that Disney handle. Also, learning the Disney way of doing things- Disney count and Merchantaining just to mention a few. But also I was lucky enough to learn things outside my typical merchandise job role. Tener un mágico dia –Have a Magical Day was just one of the Spanish phrases I learnt during my program, as well as brushing up on some French. You don’t expect to learn so much, but somehow Disney can surprise you. You get to experience American Culture – I had never given too much thought about how different America and Britain were before the program however I definitely learnt. I had so much fun with my American friends talking about our cultures and it was so interesting to learn about different things. I showed them Balamory, Jammy Dodgers and Roast Dinners while they taught me the importance of PB&J sandwiches, Unbreakable Kimmy Schmidt and *bleurgh* Root Beer. Now sometimes, this could be tough during the program especially when some aren’t as accommodating or willing to learn about your culture but overall people are so interested and wanting to both teach and learn. You’ll appreciate your Hometown – I’ve always loved Liverpool but after three months away I definitely started to appreciate the little things, like public transport – yes really. I appreciated the smallness of my city and the community feel. I appreciated my local pub and the joy of people understanding your accent. I loved how interested people would be when I said where I was from because they thought it was so cool and had always wanted to visit. I think it’s easy to overlook where you’re from but it was a good experience to hear what other people thought about my funny city. You get to learn about Disney Heritage – Your Traditions class will be one of the most emotional days of your program. I mean if you’re anything like me, you already cried at the videos they showed you in your final interview but Traditions is that x a million. You can’t help but feel proud and honoured to be in that room, proud to continue the Disney Legacy. I learn all about the Disney Family and how the business started which meant so much to me. It is amazing to learn about the changes the company has been through and how it has developed. Also, learning about all the behind the scenes of Walt Disney World was one of the most intriguing aspects of my program. I loved seeing how much detail went in to keeping the Magic alive. Having the Time to get to know Yourself in your Disney Bubble – I had never lived anywhere but Liverpool, I hadn’t moved out for university, so this experience was definitely new and out of my comfort zone. You will learn things about yourself by being in this position, it will test your patience, your ability to go without sleep and definitely your emotional wellbeing. One of Walt Disney World’s main goals is to make it’s guests forget what they have going on back home and this is still true to its College/International Program Cast Members. You get just as caught up in the Magic and you are able to leave it behind and focus on yourself. You will get to see Wishes over and over again – and most of the time, you will cry. Wishes means so much to so many different people but the first time you watch this, usually after Traditions, it will give it a whole new meaning. You finally got there. Wishes never got old for me, its still one of my favourite Cast Member Perks, even if I do get slightly emotional when I hear it. Whether its in your workplace or on one of your days off, watching Wishes is special and don’t even get me started on Fantasmic. You get to Make Dreams Come True – for so many people, Disney can be a once in a lifetime experience and it’s your job to make it as special as it can be. You can make this happen without even realising it, you can get caught up. One of the first trips I remember, as I was about to walk into Magic Kingdom when a Cast Member said ‘Welcome Home Princess’ and it’s still one of my fondest memories and makes me happy any time I think about it. I had so many Magical Moments that were unforgettable for both me and the guests. For me making dreams come true came easy because working at Walt Disney World had been a dream of mine for so long. I’ve been thinking about doing this for the last couple of summers but never got round to applying – next summer may be the one that I finally do it, it sounds like such an amazing experience! Aw what a lovely post! It’s something I’ve always loved hearing about and wish I could have been able to do a DCP at Disneyland Paris when I was younger!